There's a grand tradition to enormously powerful and torquey diesel sport-utes. Most of them come from the Volkswagen group - like the Touareg V10 or the Audi Q7 V12 TDI - but this, as you might have guessed, is no VW. 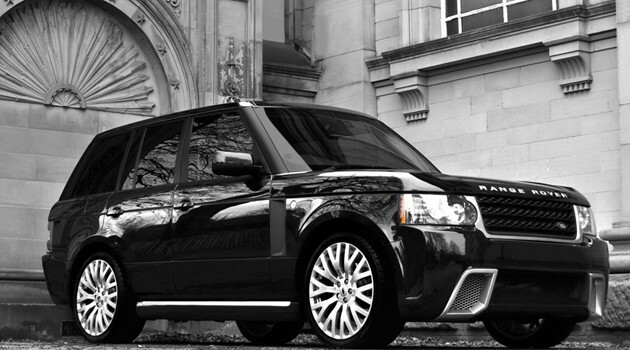 It's a Range Rover, uut one that's been thoroughly worked over. The modifications have been carried out through the joint efforts of Project Kahn and Cosworth - two British tuners that have been working together for the past couple of years. Their latest product started life as the thoroughly capable and luxurious Range Rover Sport with the 4.4-liter V8 diesel. With 313 horsepower, the diesel Rover is hardly a slouch, but Cosworth has taken it a step further (and then some) by squeezing out a whopping 500 horsepower. To go with the massive upgrade in output, Kahn has given the Range Rover an extensive cosmetic update both inside and out, with new bumpers from and rear, side skirts, 22-inch wheels and an interior decked out in billet aluminum and perforated & quilted leather trim. Check it out in the high-res image gallery below. [source: Project Kahn]Project Kahn, Cosworth squeeze 500 hp out of diesel Range Rover originally appeared on Autoblog on Sun, 26 Dec 2010 14:04:00 EST. Please see our terms for use of feeds.